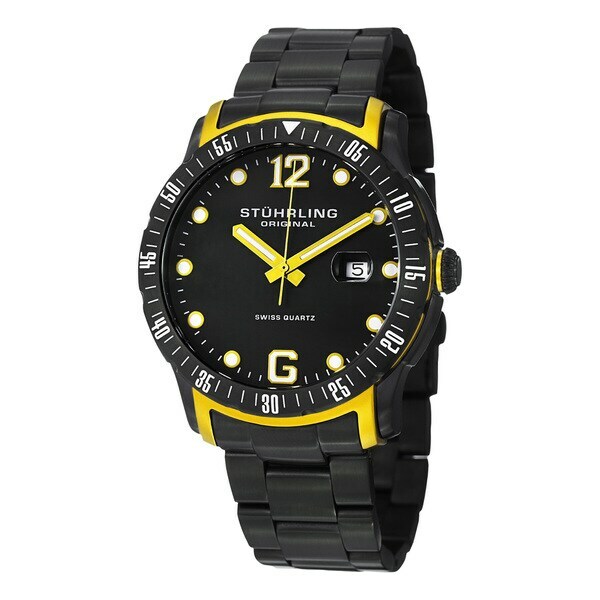 Stuhrling Original's Trofeo is an incredibly rugged timepiece found in the Concorso Family. Each execution of this model features a 45mm solid stainless steel case treated with black PVD for a beautiful stealthy flair, and each is distinguished by a brilliant slash of color on the lugs and numerals. This timepiece is powered by a Swiss quartz movement, which includes hours, minutes, and seconds with quick set date.